Feta cheese has been made on the beautiful Greek Isles for thousands of years. Lore even indicates Homer was speaking of Feta when describing cheese in The Odyssey, which historians say could have been written in the 8th century BC. However until the EU’s highest court granted Greece the sole right to call their traditional brined cheese Feta in 2005, producers all over the European Union could market any similar white cured cheese as Feta. Greece’s dry, rocky, mountainous terrain lends itself to sheep and goat herding, rather than cattle. for this reason, Feta was made with sheep’s milk and later with a mixture of sheep and goat’s milk. The Greek word “Feta” means “slice” for how curds are cut - in large slices - after the milk is curdled with rennet, drained. The next step of brining, aging the cheese in water or salted whey, is a comparatively modern part of the Feta making process, only dating back to the late 1800s. Mevgal Feta (P.D.O.) is made in the traditional manner from fresh sheep's milk. It is pure white in color, delicately textured with a slightly sweet and tangy flavor that is never overly salty. One taste evokes the image of a steadfast shepherd and his herd on a Greek mountaintop overlooking the Mediterranean Sea, just as his family has done for centuries. 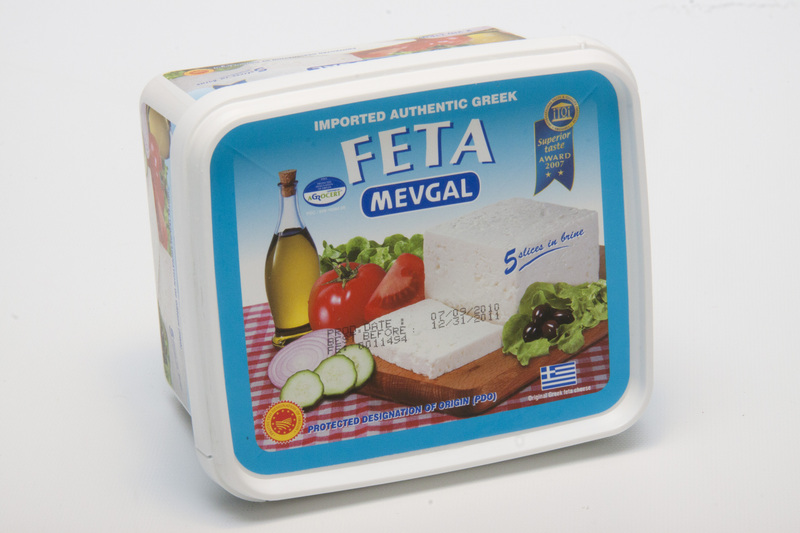 Application: Mevgal Feta is perfect with a drizzle of olive oil, a sprinkling of sea salt, and toasted pita bread. Great when crumbled into a couscous salad with cucumbers, tomatoes, olives and shredded chicken. Pairing: Pair with a crisp Sauvignon Blanc or a light and fruity Beaujolais. The celebrated olive of the Liguria region in the Italian Riviera, Taggiasca’s fruity flavor is the centerpiece of Italian fare. With a deep violet skin, it offers a firm bite and a fruity and mildly sweet flavor. Its small size is pitted for convenience making it ideal for snacking and recipes. 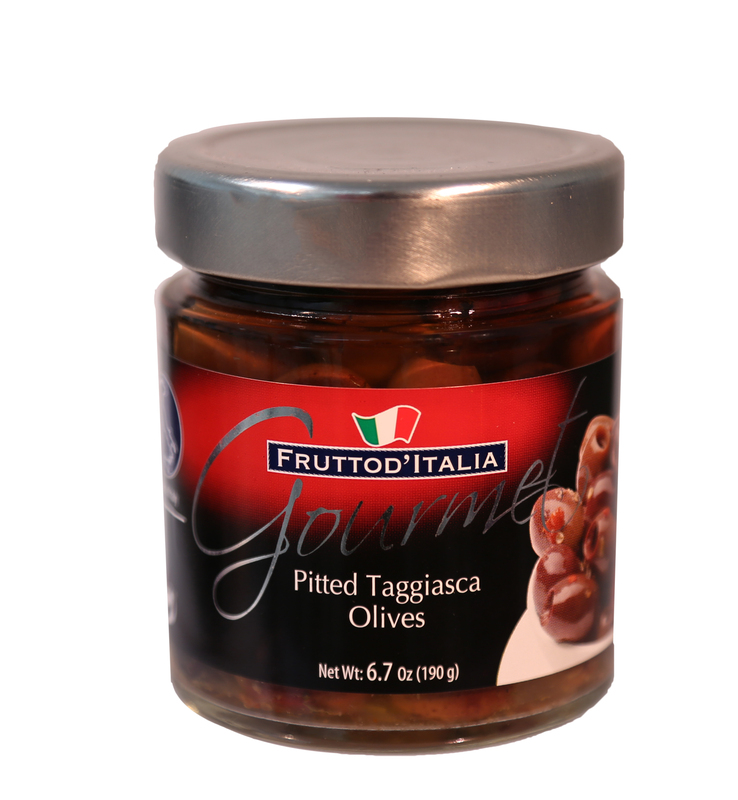 Frutto’s Taggiasca olives are packed in an herb infused oil that can be used for a great flavor marinade or light dressing. Application: Make a traditional Ligurian dish by tossing Taggiasca olives with orecchiette (sp. ), halved cherry tomatoes and chopped cauliflower.